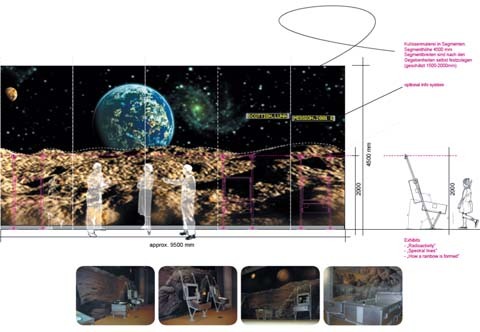 At the beginning of the design process, in particular for interactive rooms, a precise analysis of the conditions has to be performed. First of all, the scientific content, consisting of 4 themes: “Human Biology“ – “Exploring the Space“ – “Foundations of Science“ – “Exploring the River Clyde“. For the target group “averagely gifted twelve-year olds“ we developed a central theme along the briefing, which is visualised on an initial contemplation level mainly by creating popular images in the form of scenarios. Thus, for “Exploring the Space“, a planet was created, for “Human Biology“ a sports arena, and for the “River Clyde“ a research ship. 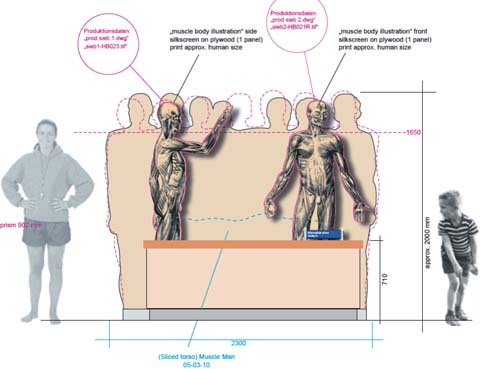 Integrated into these scenarios were more than 100 interactive exhibits that, in their appearance, were adapted to the particular scenario. For us, interactive exhibits do not mean “pressing coloured pushbuttons“, but real interaction, i.e. the visitor is integrated into the ongoing process by his actions. 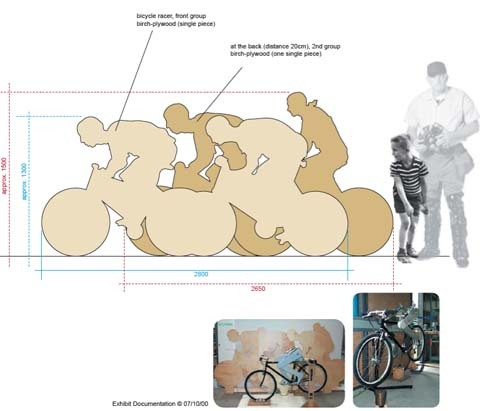 Through physical perception of the exhibit, a link is established between contents and effect. Learning by the ‘conceive and touch approach’ is becoming a reality. 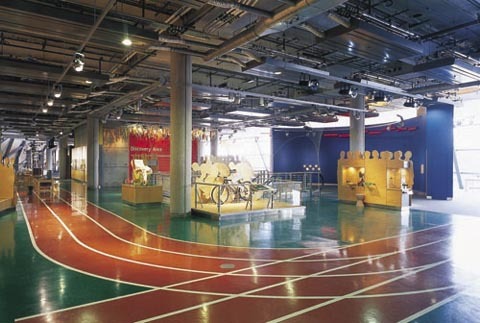 • To extend all opportunities within the Glasgow Science Centre to as many people as possible, particularly addressing the needs of people of all ages who are socially, cognitively or physically challenged. 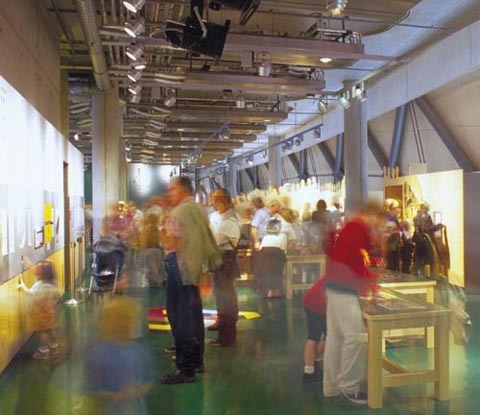 In response to a worldwide call for tenders, Hüttinger and their Partner Claus Lämmle was awarded the contract for the conceptual design, engineering and fabrication for the floor “Exploration and Discovery” (1st floor) of the Glasgow Science Centre which was opened to the public at the end of June 2001 by Queen Elisabeth II. Our part: the visuals for the competition, graphics, color schemes, artwork and art direction. Together with Jochen Hunger from visionville we worked out the concept and the conceptual design of the floor layout. For the GSC we did some pieces of art which are both fun and science. E.g. 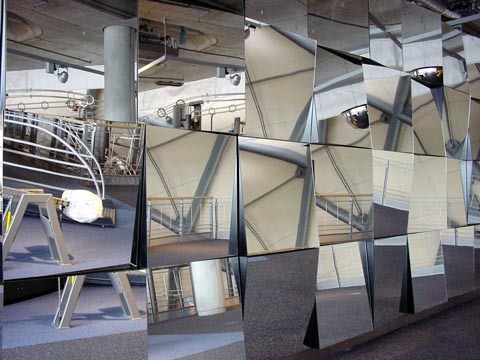 a “Mirror Installation”, which reflects something strange. 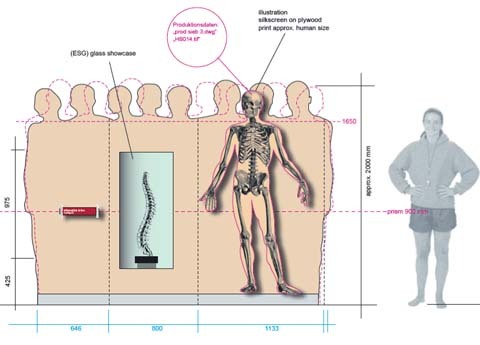 You see yourself or your environment offset in sections. 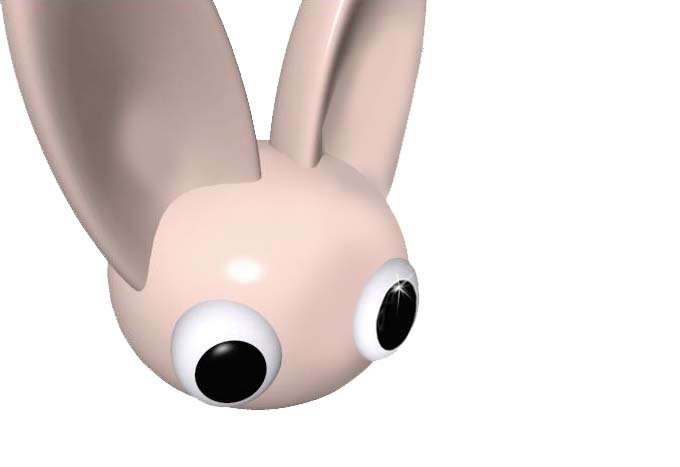 The mirror image of your own body walks by, the head in the row on top of it follows offset by one row, but the legs walk in front. The core exhibition will be an exhibition of science and technology rather than an exhibition about science and technology. This is a critical distinction as it requires an overall experience that involves interaction with real objects, real processes, real experiments, real phenomena, real people and novel environments. 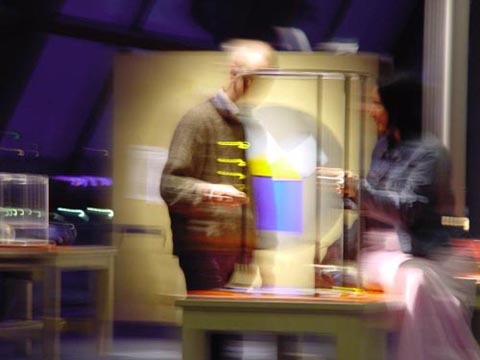 Visitors will be given first-hand experiences rather than second-hand accounts of the products of scientific or technological endeavour as they follow their own paths of exploration and discovery through an exhibition landscape full of engaging, intriguing, delightful and memorable activities. Glasgow Science Centre, the £75 million Millennium Project taking shape on the south bank of the Clyde at Pacific Quay, is using Scotland’s Travel Trade Fair to announce itself as the leading Scottish attraction of the future. The project, recipient of the largest single co-funded by a variety of bodies including the Glasgow Development Agency. ScottishPower’s support is for the Centre’s Space Theatre, a 120-seat state-of-the-art domed theatre showing astronomy and laser shows. Its involvement was welcomed by the centre and endorsed by Henry McLeish. 1) The Glasgow Science Centre is a £75m Millennium project, the largest of its type in the UK and the second largest Millennium project in Scotland. It is located on a riverside site alongside the River Clyde on the former site of the Glasgow Garden Festival, which has lain derelict since 1988. The site is in the district of Govan, an area recognised as likely to benefit from substantial investment. The centre will create up to 600 construction jobs and approximately 120 jobs once fully operational in Spring 2001. 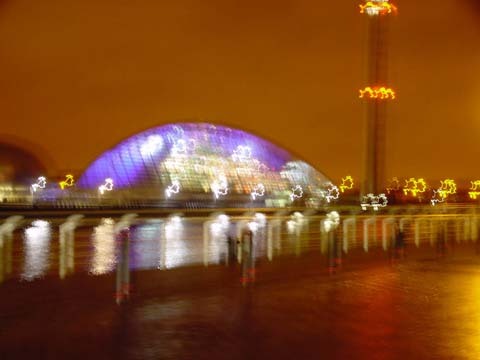 The development of the Glasgow Science Centre is being part-financed by the European Union through the 1997-99 Western Scotland Objective 2 Programme. The European Regional Development Fund (ERDF) grant of £19.754M is the largest single grant in the history of the Structural Funds in Western Scotland. This award is made in anticipation of the major catalyst effect anticipated for the wider regeneration of the urban river corridor and compliments the Scottish Exhibition & Conference Centre and Glasgow Tall Ship on the north bank – both previous ERDF recipients.